ANGELS SURF SCHOOL website assures its users privacy and security in the data provided for the numerous services available, and only requests and collects data necessary to provide the service according to the explicit indications on the website and the user’s options. ANGELS SURF SCHOOL takes responsibility for protecting the privacy and personal data of all users, in accordance with the requirements approved by UE Regulation 679/2016 of the European Parliament and of the European Council of 27 April 2016. In general, ANGELS SURF SCHOOL website can be visited without revealing any personal information. There are, however, areas of the website where we require users to provide their personal data to enjoy the services available there. We recommend that users take additional security measures, such as maintaining properly configured and updated equipment and programs, using malicious software and firewall protection, and not navigating websites that do not have the necessary guarantees of authenticity. Our website may also include links to external websites whose privacy practices may differ from ANGELS SURF SCHOOL. If you provide personal information to any of those websites, the information is managed by the privacy policies of those websites. Personal data is information relating to an identified or identifiable person. This information can be of any nature and can be found on any medium, including sound and image. Any person who can be identified directly or indirectly, including by reference to an identification number, or one or more specific elements of his or her physical, physiological, psychological, economic, cultural or social identity shall be identifiable. This information can include the IP address, browser type, domain, access times and addresses of referral websites. This information is used for the operation of the service to guarantee the quality of the service and to provide general statistics regarding the use of the ANGELS SURF SCHOOL website. This collected data is automatically linked to personally identifiable information such as name and email address. Your personal information is only used to ensure the relevance of the contents of our website to your needs and interests, as well as to alert you about product updates, special offers, events and other pertinent information that may be of interest to you. ANGELS SURF SCHOOL assumes responsibility for protecting the privacy and data of all users. The personal data is not shared with third parties and is only used with the consent of the user for marketing campaigns or for delivery of our newsletter. Cookies are text files stored in your browser when you visit a website. These files are used by most websites to improve performance and user experience and only collect anonymous information, not allowing access to users’ computer or any personal information. More information about cookies can be found at www.allaboutcookies.org. ANGELS SURF SCHOOL is responsible for processing the personal data of users of the website www.angelsurfschool.com. 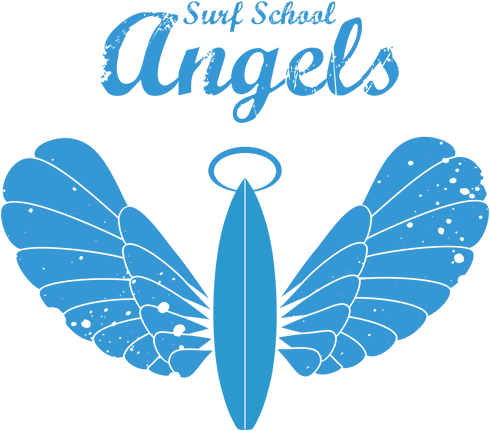 Personal information collected by ANGELS SURF SCHOOL is voluntarily provided by users of our website, such as when filling out a form or subscribing to the newsletter. The data collected may vary depending on the situation and may include, but not be limited to, your username, email, address or telephone number. ANGELS SURF SCHOOL also collects anonymous information when users visit the website. This information may include, for example, the type of device, operating system and browsers used to access the site, geographic location, duration of the visit, and number of pages visited. However, it is not possible to relate this data to individual users. We may also collect personal information from job applications, for instance. When we send emails to registered customers, we can track who opened the emails and who clicked on any of the links. We do this to measure the performance of our email campaigns and to improve our offerings. If, in the future, recipients of such communications prefer not to receive them, they may do so using the “unsubscribe” feature provided in the communication itself. How do we use that information? and for all other purposes that are directly related to our business relationship, whether you are a customer, supplier or other business partner. Each time we collect personal data we will inform about the specific purpose of the same to give full transparency on what we do with your personal data. ANGELS SURF SCHOOL will keep your information for as long as your account is active or if it is necessary to provide you with services. You can at any time change your personal information or cancel your consent. All information collected will be treated exclusively by ANGELS SURF SCHOOL. Thus, we undertake not to sell, exchange, rent or share with third-parties such data without the user’s consent, except if we are obligated and in strict compliance with a judicial decision or order of competent authority with authority. We may communicate your personal data to other ANGELS SURF SCHOOL companies in order to perform the contract we have entered into with you or to gather information or documentation that you have requested. Have security systems that prevent the consultation, modification or destruction of the data by a person who is not authorized to do so and who can detect intentional or unintentional deviations of information. Be informed of how ANGELS SURF SCHOOL fulfills its data protection obligations. Provision of a copy of treated personal data, preferably in an exportable format. Block the processing of this data to check for accuracy or opposition. Dispute personal data accuracy, for a period that allows the controller to verify its accuracy. Request the removal of your data and the final elimination of those that do not collide with legal obligations. Possibility of requesting your personal data in a common or frequent use format, to operate the transfer to another organization, even if it is a competitor.